God forbid that I promote recycling in this 21st century. 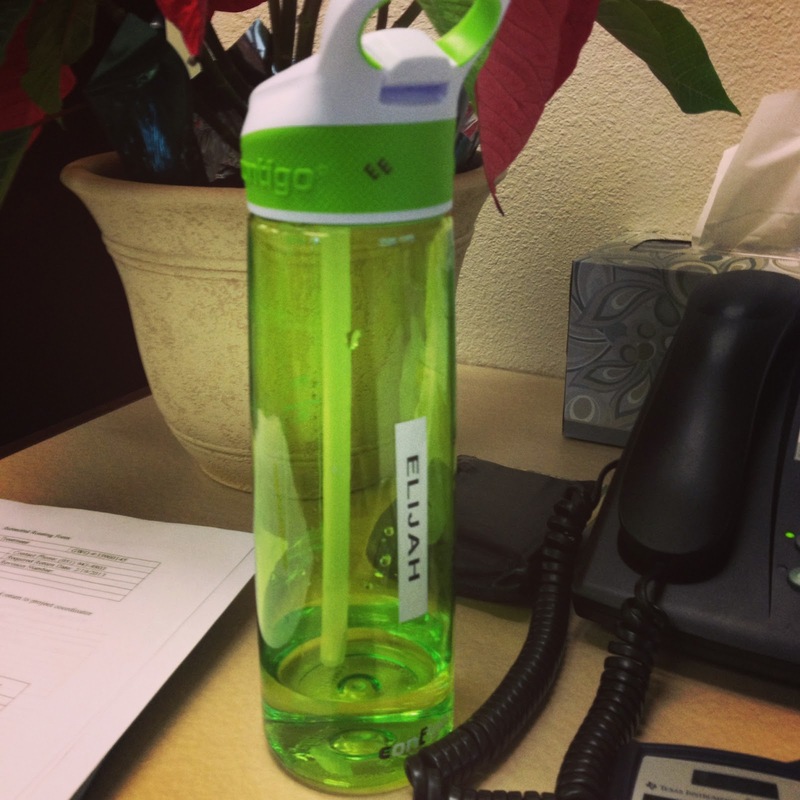 The office manager just bought me this green reusable water bottle. My first complaint is that green is not my favorite color. But I’ll let that slide, since I didn’t pay for it. I also feel rather picked on – as if someone didn’t appreciate all the empty water bottles I deposited so thoughtfully into the recycling container in the kitchen. Granted, for every 10 bottles that made it to the recycling container, 2 ended up in the waste basket beneath my desk. But who can really judge me? I was either in the midst of a serious telephone conversation, or halfway through writing an email, or some other crucial work-related activity when that empty bottle took too much of my precious desk space. Any free space on my desk is like New York parking. It’s a precious commodity. With a single phone call or email, my desk can suddenly become strewn with contracts, drawings, and data sheets. Now obviously, the proper thing to do is after the phone call or email, put everything away immediately. However, free time is an even rarer commodity. So while I’m engaged in conversation or email #1, my other lines are blinking with calls or more emails have arrived. That usually results in more papers stacked on papers which is why some bottles ended up not quite being recycled. The funny thing is that I was one of the last people to get this new water bottle. The worst offenders (heaviest drinkers) received their bottles first, but that’s because no one really knew my dark secret of not recycling every bottle I used – a factor that made my usage seem less that it was. I also think some people naively felt left out for not getting a colorful water bottle, so now everyone in the office has one so life can be fair. This fairness created its own problem since there are more people than bottle colors. The accounts payable girl came up to me yesterday afternoon and matter-of-factly told me that she had the same color bottle as me. Since I know her well, my smiling sarcastic response was, “I guess you’ll have to get a different color”. This morning, the office manager went to every desk and placed an label with our names for identifying our personal bottles. Who knew sarcasm could achieve results so quickly? But still, buying me a green reusable water bottle is a bit of overkill because this fancy water bottle also brings along the horrible requirement of needing to be periodically washed. Regular water bottles get recycled and do not require any washing. If you know me, then you know I hate washing dishes. Here at the office, the receptionist is responsible for washing the coffee mugs or any other dishes placed in the sink by us, but that feels a bit wrong. My evil idea (before the whole labeling process) was to anonymously slip my bottle into the stack needing to be washed. But thanks to my sarcasm, that’s no longer an option. It looks like I have a new work partner. A silent green bottle that will judge me if it ever sees a simple plastic water bottle on my desk. It better not become annoying, because it is also plastic and I obviously enjoy recycling.